The video quality of the YI Lite action camera is excellent thanks to the SONY IMX206 image sensor. Many companies use cheap and generic image sensors to save money. That’s not the case here. 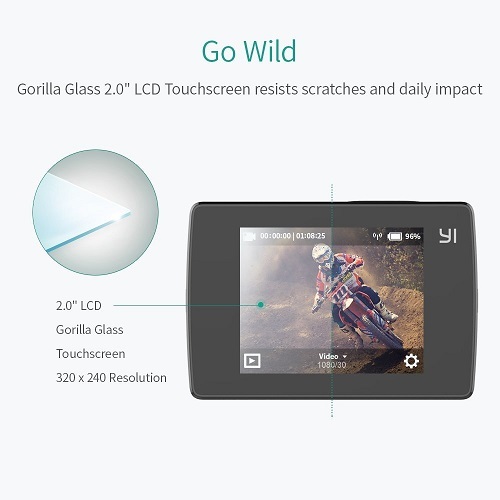 YYI Lite uses one of Sony’s most advanced sensors for action cameras. You will find it, or similar sensors – in much more expensive devices as well. The videos at Full HD look really amazing. I do want to mention that the video quality is very similar to what DBPOWER N6 (Amazon link) offers. This is another great action camera worth checking out. 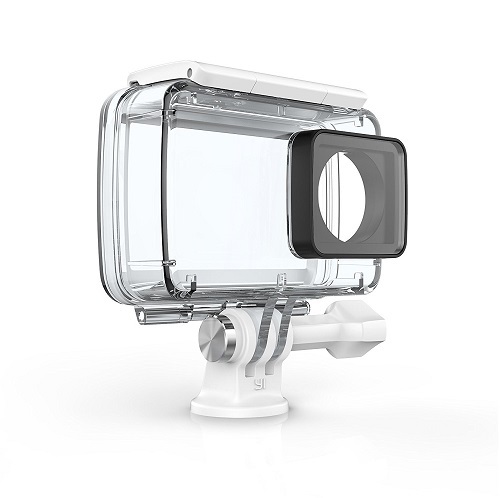 The YI Lite action camera also offers electronic image stabilization. How many times you recorded a video and then discovered it’s shaky? YI Lite solves this problem. The 150 degrees lens are also very good – a must have feature for many. Another camera worth checking out that uses wide angle lens is AKASO EK7000 (Amazon link). This model is super popular and you can find so many reviews of it online. I read many of them – and it seems people really like it. Amazingly, the YI Lite action camera has WIFI and Bluetooth, something very uncommon for action cameras in this price range. Moreover, it also supports dual band WIFI – and that’s something that only few cameras can claim, especially in this price range. Using a fast WIFI connection, you will be able to download videos quickly and easily. Also, since as I mentioned – it has built Bluetooth, you can buy the YI remote (does not come with the device) and pair it via Bluetooth. The integrated touchscreen is protected by “Gorilla Glass” – which you probably heard before. That makes the screen almost unbreakable. The LCD screen itself is very good, high quality for sure. The UI (user interface) was built around the touchscreen option – so it is very easy to navigate and use the different options. YI Lite comes with one powerful battery that should last 45-90 minutes (the company claims up to 130 minutes, which under some settings – may be possible) – depending on the video quality and other factors. The battery life in my opinion is excellent. You can always buy a spare battery if you think one won’t be enough. Many people choose to buy a waterproof case for their camera – which I think is very useful. It’s not very cheap – but you have to remember that it’s a very durable case. Once you install it properly – you can be sure no water will get in. If you are looking to buy a good action camera with excellent video quality and many features – Xiaomi YI Lite will be perfect for you. It is made by a well know and very popular company. Sure there are many other action cameras in this price range – but I really don’t think anyone of them is as good as this device. Many people can’t afford buying a camera like GoPro Hero 5, and many people also don’t need a camera that advanced. For those – The Xiaomi Lite camera will be perfect. I hope you liked my YI Lite review. If you have any questions about this device – feel free to comment below. 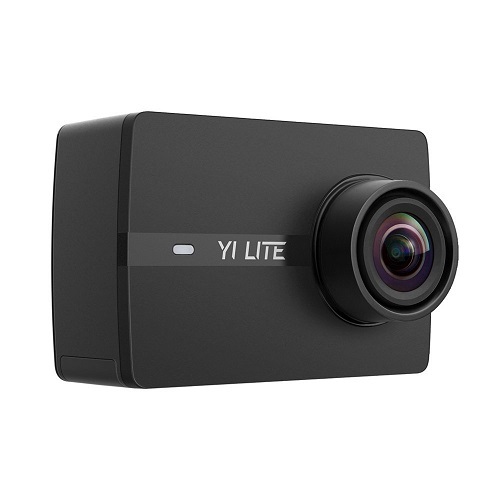 Also make sure to check out other YI action camera reviews on our website.